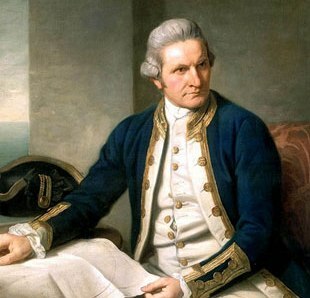 Captain James Cook was a remarkable navigator born in Yorkshire. He discovered the East coast of Australia in 1770. Cook sighted New Zealand on 6 October 1769, and landed at Poverty Bay two days later. He drew detailed and accurate maps of the whole coastline of both north and south islands. The continent was named after Terra Australis, Latin for South Land, had appeared on maps before its discovery. The North-West area was first sighted by the Dutch explorer Abel Tasman and recorded as New Holland not realising how big the continent was.